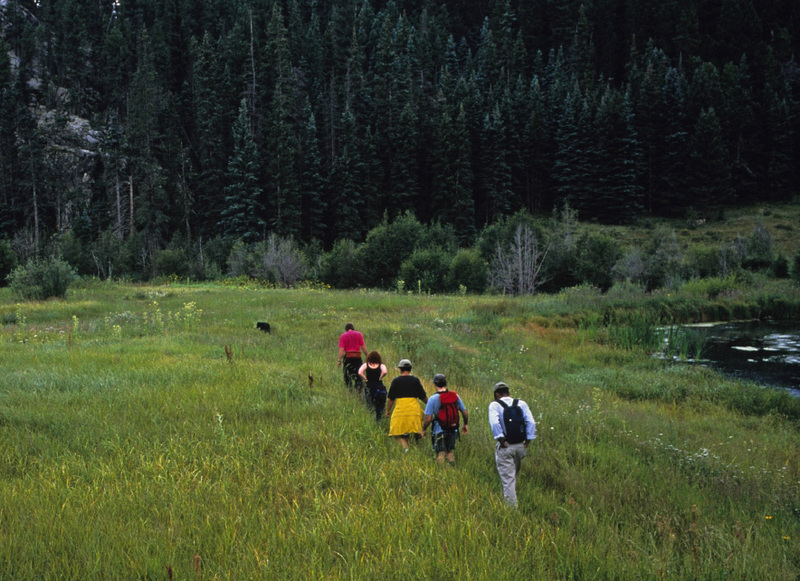 The scenic High Country Ranch offers dramatic views and richly diverse habitat. But at 11,655 acres, this property in the Rio Vallecitos watershed is at high risk of development. It is located just west of the Carson National Forest and includes more than 9,000 acres of mixed conifer, aspen, and spruce fir forest and several miles of riparian woodlands, which are rare in New Mexico and provide habitat for trout, beaver, and birds. In April 2009, The Trust for Public Land and our partners completed the first phase of the project through a permanent conservation easement funded through the U.S. Forest Service Forest Legacy Program. In 2010, we helped add another 3,100 acres and in 2014, we completed the protection of the entire property—ensuring it remains a working ranch full of old growth trees, wet meadows, and clear creeks forever.